Previously on Network, the critics were meeting and Ash is killing it. Except for one problem. Charlie: I think more questions are going to arise for that show. Critic #2: Mr. Chambers, is there any comment about the recent controversy with Psych Med? Ash: Hmmm...as a matter of fact, I am not entirely aware of it. What recent controversy? Critic #2: News recently broke out that a producer of the canceled show now has sexual harassment allegations against him. Critic #2: Yes, Mr. Chambers. Ash: To fully answer your question, the network has made the right call in canceling Psych Med. Ratings were embarrassingly low. We are further assessing cost and viability and the recent allegations basically lower its viability. Our network has a zero tolerance policy against sexual assault and harassment of all kinds. Kasey: If you look at Twitter, critics are positively receiving Ash’s response. Leah: Looks like he is dragging that dumpster fire. Charlie: Based on the critics raving about his response, this show is in the sewer. Jesse: Well, we definitely made the right call. This definitely would have been a huge PR nightmare with all the recent allegations if we hadn’t had canceled the thing. Ash then returns to the green room. Ash: We killed it, everyone. Ash: You all get a raise! Because we quickly canceled Psych Med, a PR nightmare has been avoided. Kasey and Jesse high-fived each other, while Leah hugs Ash. Ash: Now, we have a wedding to plan! This week on Network, we finally have a wedding! An early December wedding at bay. Leah and Ash are getting married, and Leah is freaking out while wearing her wedding dress. Leah: Holly, does this dress make me look fat. Holly: Fat? Why would you think that? Leah: Because a month ago, I got this dress and it fit me fine. Now it is somewhat tight. Holly: You don’t look fat, Leah. Kasey: Holly is right. But I do have a pregnancy test just in case. Leah: Okay, I will check. But do you have a duplicate? Kasey: I have a second one. You’ll take yours and I’ll take mine. Leah then heads to the bathroom, and then after she gets out, Kasey then heads to the bathroom. Charlie then enters. Charlie: Leah, are you ready? Leah: Eh, a little nervous. Kasey then emerges from the bathroom. Charlie: Well, well...what’s with the commotion? Kasey: I took a pregnancy test. Holly: Is it time to check now? Kasey: It’s only been a couple of minutes. Holly then rushes to the bathroom. She then comes back with two pregnancy tests in hand. Holly: One positive, one negative. Charlie: Do you know which one is which? Leah: One of us is pregnant. Charlie: Might as well call the Maury Show! Holly: Charlie, that is not necessary. Leah, Kasey, which one is yours? Kasey and Leah then take both pregnancy test results and swap them. Leah: Kasey, are you okay? Leah: Whoa, so I’m just fat? Holly: Leah, you’re probably just stressed because of the wedding. Kasey: Guys, this is serious. Charlie: Who the f*** did you screw? Kasey: It’s most likely Jesse’s. It has to be. Holly turns around to look at Kasey. Holly: You shut your damn mouth! My ex? Leah and Charlie turn to look at each other. Leah: Well this is awkward. Charlie: Come on, girls. Let’s get Leah married. Ash: I can’t believe I am getting married. Holly: We are really happy for you. And Leah. Kasey: Just a little nauseous, but I will be okay. Jesse: What is going on? Kasey: I’ll tell you later. The bride, Leah, then walks down the aisle. Everyone gets super emotional. Charlie: We are gathered here today to join two lovebirds in marital bliss. Do you, Ash, take Leah to be your lawfully wedded wife, to have and to hold, from this day forward, to love and to cherish, as long as you both shall live? Charlie: Now do you, Leah, take Ash to be your lawfully wedded husband, to have and to hold, from this day forward, to love and to cherish, as long as you both shall live? Charlie: Now by the power vested in me by the state of New York, I now pronounce you husband and wife. You may kiss the bride! Ash gleefully kisses Leah and celebration begins. All of a sudden, Kasey vomits. The gang pauses. Charlie: Kasey, are you okay? Kasey: I can’t believe I just did that. I’m guessing morning sickness. Kasey: Do you want to know now? Jesse: Don’t tell me you’re pregnant. Kasey: Well, I took a pregnancy test earlier. It is positive. Jesse: We are having a baby! Ash (in shock): Not again! Well, that was a bit anticlimactic. 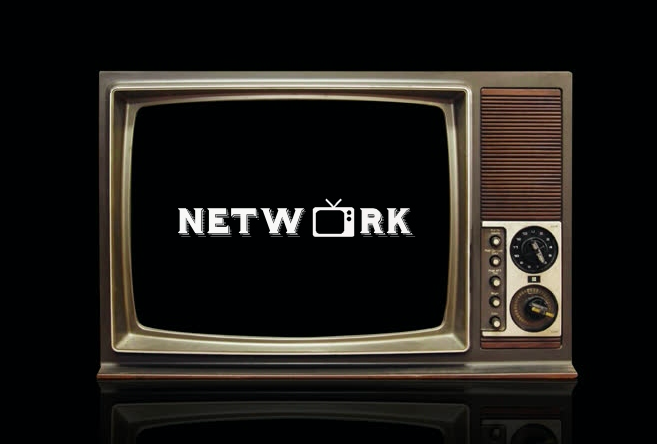 This concludes this thrilling season of Network!